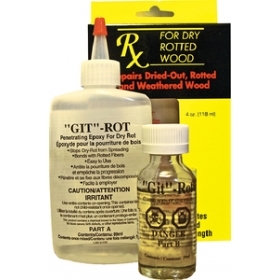 The perfect cure for dry rot and restores the strength of wood. Pours into finest openings, penetrates deep and completely saturates wood, arresting the progress of dry rot by encapsulating fibers. Cures into tough, resilient adhesive that bonds wood members together with mass stronger than the original. 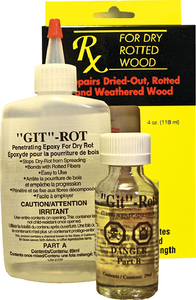 Ideal for wood encapsulated by fiberglass such as transoms, stringers, keels, etc. Can be sanded and painted. "everything arrived as expected and easy to use web site with good post sale communications on..."
"top notch all the way, it is also nice that you follow up to see if there is anything wrong with..."
"good service fast delivery back on the water!" "Excellent purchase process and great customer service to follow up"